I went to TED Global! 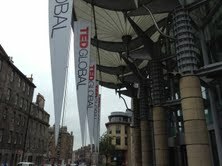 This year I attended TED Global in Edinburgh, Scotland. I didn’t really expect to get in (via application), but I did and it was extraordinary. I flew into London Heathrow the Saturday before the conference. Booked a hotel room near Bloomsbury Square and took the tube into central London. I ran into an art and antiquities dealer while looking for my hotel and he invited me to the local pub for a pint with his mates. Discovered that I like scrumpy, an English hard cider. And Jimmy and Andrew were great company – lovely start to the trip. The next day, I took the train up to Edinburgh. Friends who’ve been, rave about the city and I see why. Unlike Glasgow, it had no strategic value and was not bombed during WWII, so all the old buildings are intact and it’s beautiful, walkable and the people are wonderful. Had dinner at Fishers in the City – great seafood. The next day, we began at at the Hub on Castlehill with TED Institute, which has a business focus. There were 8 speakers (Tokunbo Ajasa-Oluwa (GoThinkBig), Jeremy Bentham (Shell), Kate Groch (Bush Schools), Jennifer Healy (Intel), Chris Perreta (State Street), Mahadev Raman (Arup), Philippe Schulz (Renault-Nissan), and Tom Wujec (Autodesk). The most intriguing for me was Jennifer Healy discussing the iTunes model from the music industry for handling personal data where no longer have to buy the entire CD (or give any one entity all our info) but rather decide what’s fair: I will give you this amount of personal information in exchange for this amount of your services, expertise, etc. 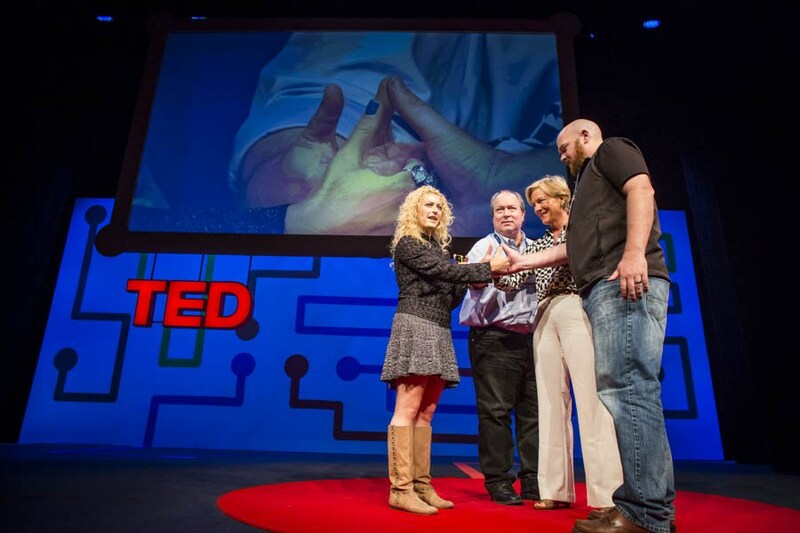 Next, was TED University, Session 1 with 9 speakers, every thing from the way people remember to a Saudi woman’s account of her father’s fight to get off the terrorist list he was wrongly assigned to, as well as Julian Treasure on the most powerful sound in the world. Tuesday morning began at 8:45 am with TEDU, Session 2 and another 8 speakers on subjects as diverse as designing digital products for local needs to a couple and their son who began life with a stroke and how he recovered, a 3D-printed jumbo jet, bitcoins and other new private currencies and my favorite, Jane McGonigal (SuperBetter) with her favorite game. Jane’s favorite game is probably mine as well: multi-player thumb wrestling. All of us in the auditorium were all connected and thumb-wrestled at the same time. Happy to report that I am a Grand Master, beating my opponents. From the Hub, we headed over to the EICC where the mainstage events were held, there was a small protest over the decision to include the former Greek Prime Minister among the speakers. It was peaceful and as far as I know, no incidents. Next time… the meat of the conference as the first of 12 sessions gets underway.